Billboards for drug sniffing dogs, cheap lawyers, gun shows, pay cash for your house. These are just a few of the messages often found on billboards in low-income census tracks with high-levels of health disparity. 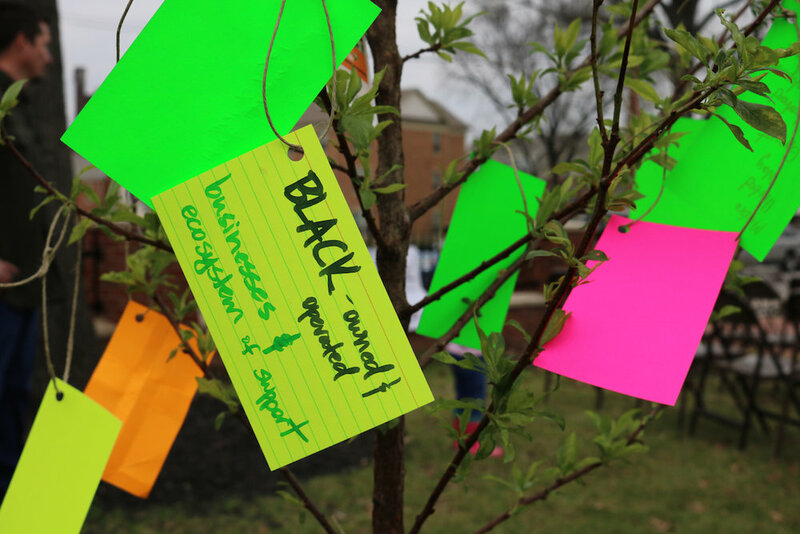 This is the case for Smoketown, Louisville’s oldest African-American neighborhood, where IDEAS xLab has been working since 2013. Through IDEAS xLab’s work with Project HEAL, we came to understand that just as lead puts an environmental toxin into an environment, negative and predatory messages can put a social toxin into the environment. And, through a Health Impact Assessment (HIA) on Project HEAL, we saw that “visual disorder created by a barrage of outdoor advertisements may create inequality by marking such neighborhoods as impoverished or undesirable and by lessening assessed value by residents and business owners” (Kwate & Lee, 2007). In other words, the images we see every day impact our health, our beliefs and how we see ourselves and relate to communities around us. 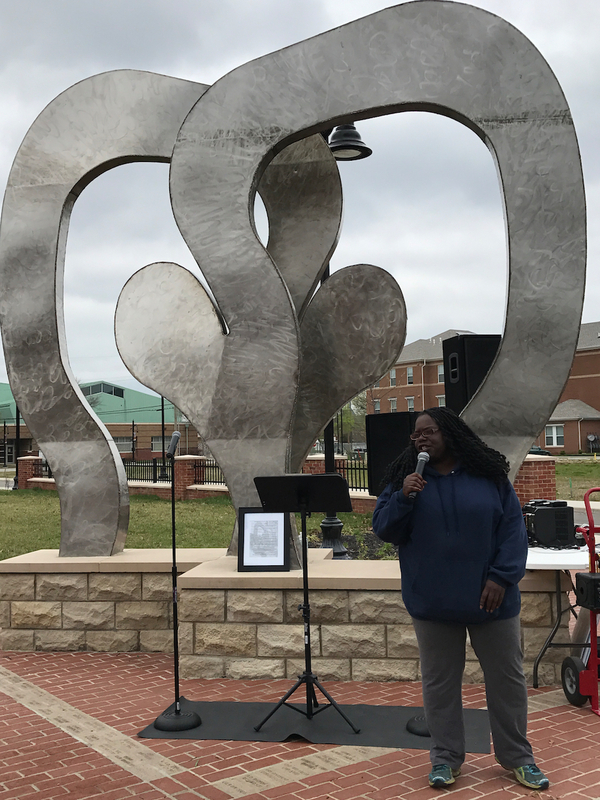 One Poem At A Time, created by artist and IDEAS xLab team member Hannah Drake — replaced 19 billboards in 2017 in Smoketown with positive historical and contemporary images of people and places, paired with one-line poems written with community members. What is represented in your community speaks to your community, the importance of your community in relation to the overall city and how others view your community, and influences the health of community members. The images that we see daily in our neighborhoods impact our thinking which inevitably impacts our actions. The human mind is divided into two parts, the conscious and the subconscious mind. The conscious mind works while we are awake and conscious. The subconscious on the other hand, is always activated, regulates everything in our body, our character, our speech, and receives and processes information, no matter what we do. Since this is the case, it is important to make sure the images that we see every day within our community are uplifting, encouraging and inspiring! Our goal, through One Poem At A Time, is to help people envision what implementing a policy that restricts predatory advertising in communities that are in the process of reviving and rebuilding could look like. 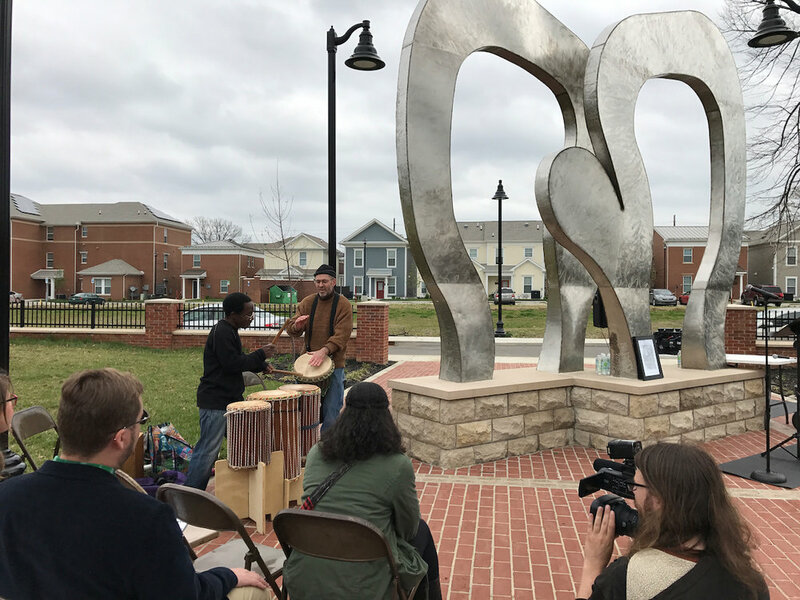 On April 1, 2017 — One Poem At A Time launched with a historic poetry walk in Smoketown lifting up the history and cultural heritage of the 151-year-old community. 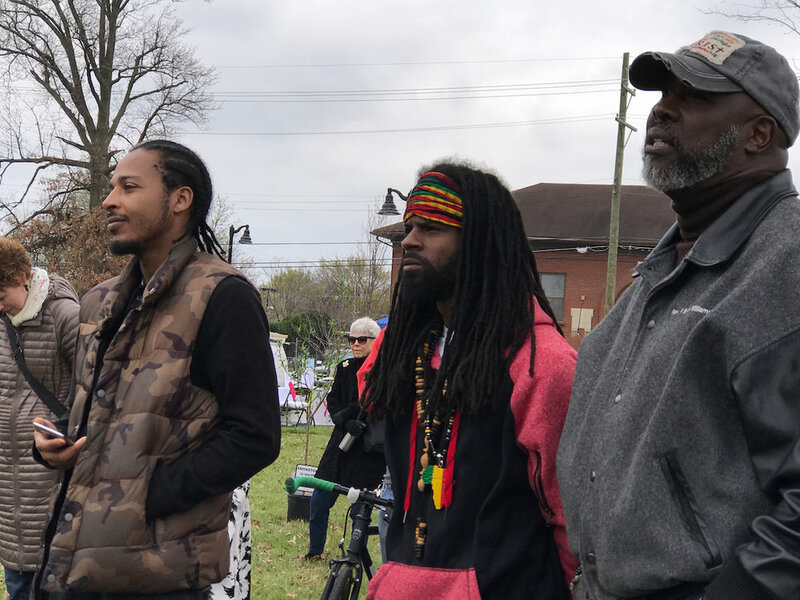 The walk brought together community residents and stakeholders, along with artists and policymakers to further the discussion around using the community’s collective power to advocate for such a policy change. 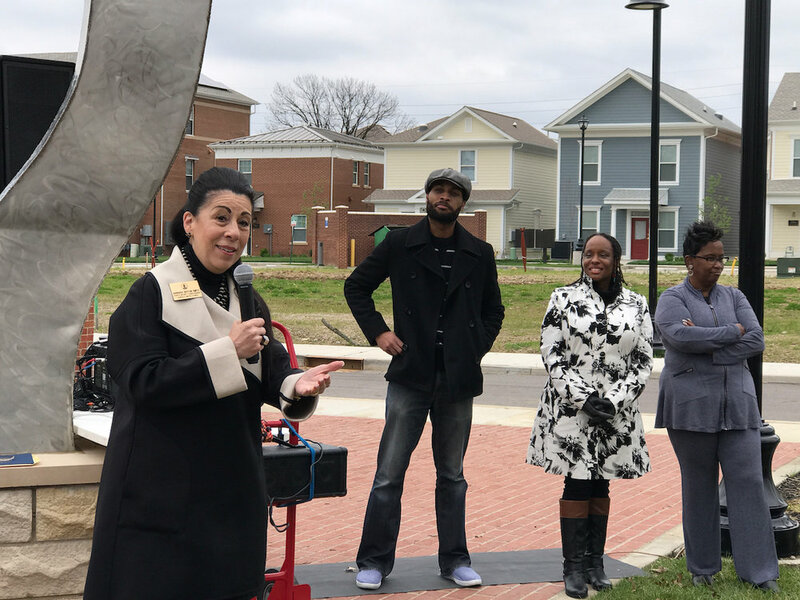 Since the launch of One Poem At A Time, the Smoketown Neighborhood Association, the Louisville Metro Department of Public Health and Wellness, and the Louisville Health Advisory Board Cultural/Social Impact Committee have demonstrated support of Smoketown’s push toward policy change. To learn more about the potential impacts of One Poem At A Time and to read the full Project HEAL Health Impact Assessment click here. The Health Impact Assessment was authored by the Louisville Metro Department of Public Health and Wellness, IDEAS xLab, and the Commonwealth Institute of Kentucky, with additional support from the Health Impact Project — a collaboration of the Robert Wood Johnson Foundation and The Pew Charitable Trusts, with funding from the Kresge Foundation. One Poem At A Time photos were taken by Hope by Hope, Kertis Creative, Project HEAL artist Shelton McElroy, IDEAS xLab co-founder Josh Miller, Tyrone Turner courtesy of RWJF, and historical photos from the UofL Archives. 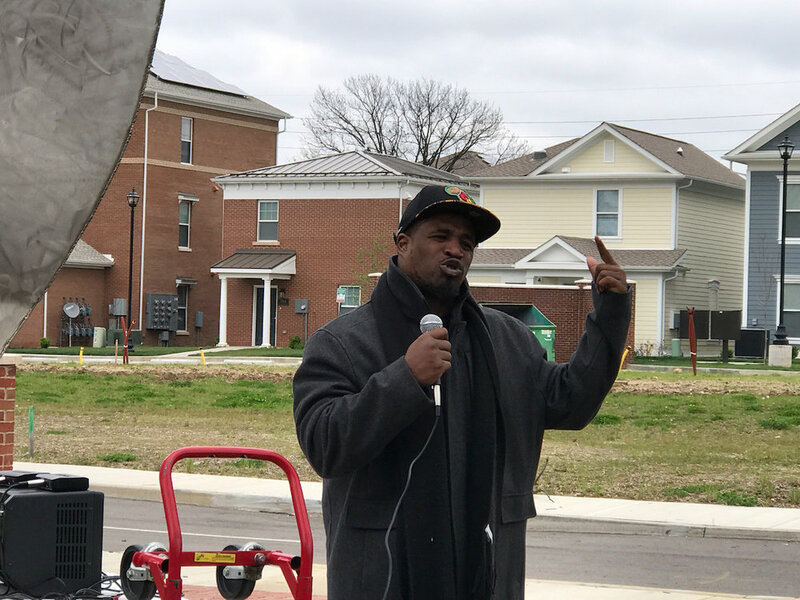 Private donations through Creative Agents of Change Foundation, Inc.
Muhammad Ali Scholars canvasing Smoketown for Project HEAL's One Poem at a Time. Smoketown was where Muhammad Ali learned to box! 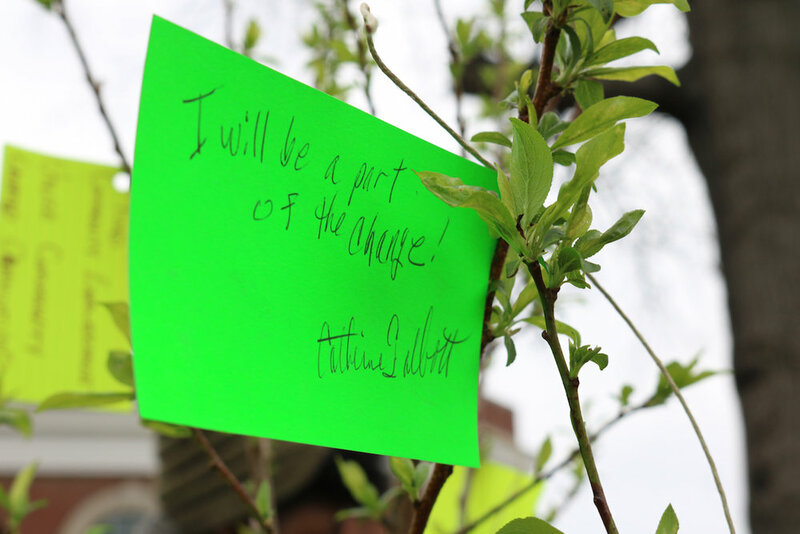 On the same streets once walked by "The Greatest", the young leaders in the program named for him, canvased the neighborhood helping to support Project HEAL's One Poem at a Time developed by artist Hannah Drake. 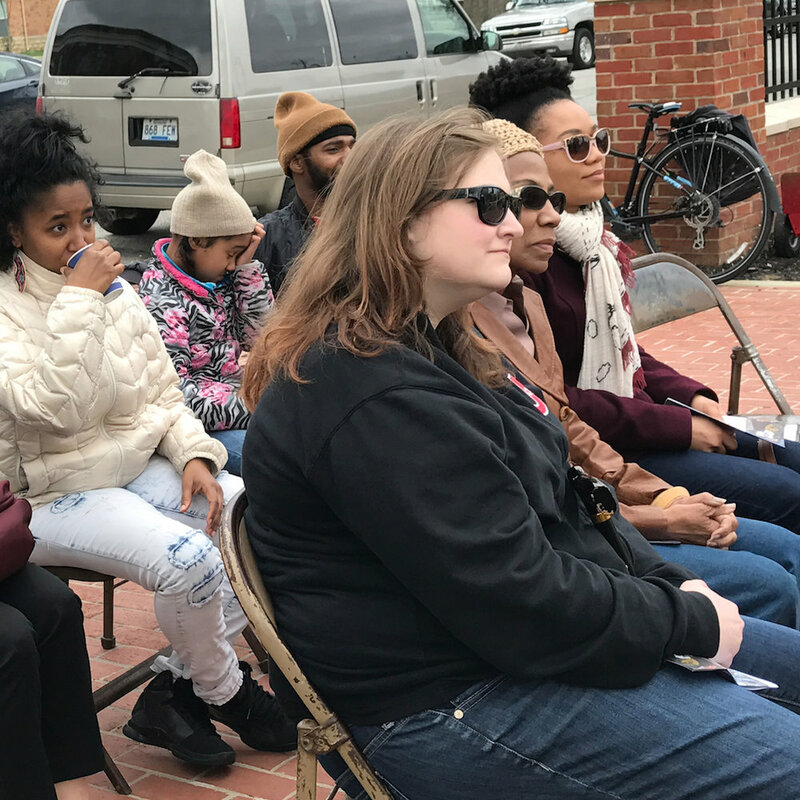 The Ali Scholars Program, offered by the Muhammad Ali Institute to full-time undergraduate University of Louisville students, is a unique 2-year experience combining training, research and service in theareas of social justice, violence prevention and peace building. A specialfeature of the Ali Scholars' experience is international travel to explore peace building and social justice in a different cultural, political, andeconomic reality. The students develop particular expertise in an area of the work that best connects to their skills, interests and abilities and conduct a research project in this "expert area." Equipped with a solid knowledge base and organizing skills, the Ali Scholars provide service hosting on-campus events, furthering the work of the Ali Institute and Ali Center, and designing and implementing social change projects. 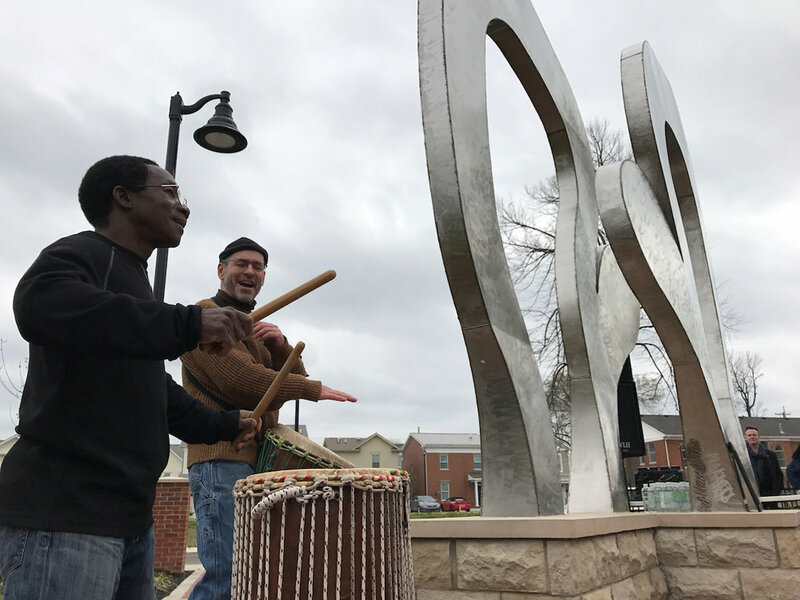 Program students are expected to emerge with a values-based model of leadership, impacting their home communities, and ultimately their nations and the world. Where we are building generations of greatness and rebuilding but never forgetting our history. Lifelong friendships begin in Smoketown. We are not just neighbors, we are family. However, we know that healing a community is a process and that healing begins one step at a time. But anything is possible with hope. In Smoketown, we have never been worried about getting our hands dirty and rolling up our sleeves to get the job done. We come from freed slaves that built a community among smokestacks and shotgun houses—we know that we thrive when we work together. We are setting the foundation for the generation that will come after us because investing in our youth today yields promise for our future tomorrow. We are planting seeds of promise among the smokestacks and concrete cracks because we know even a rose will fight to grow through the concrete. Here we fight for excellence. We won’t settle for anything less than greatness because we are worthy. Worthy of everything. We deserve the right to live, to breathe, to simply be! We deserve the chance for our souls to dance and for us to move to the rhythm of resilience. When you hear the drumbeats know that majestic magnificent music is for everyone in Smoketown. Together we are better. Together we stand and together we will rise. After 150 years we are still here. We rise from the smoke and ashes like the phoenix.